Hamsters aren't always picky eaters, but as a responsible pet owner, you need to make sure you feed your pet safe foods. 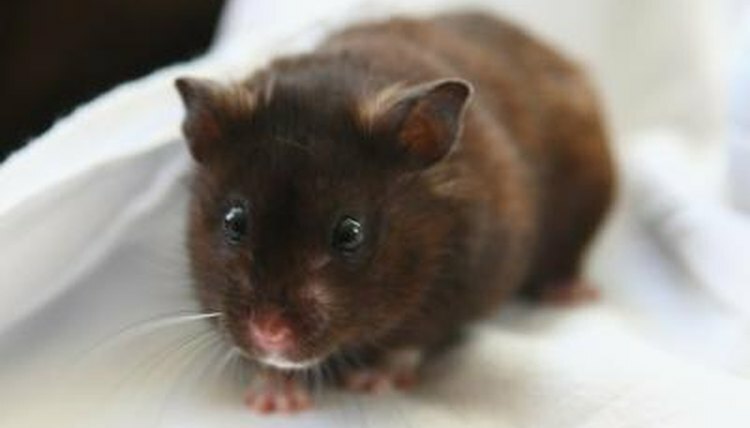 There are a number of fruits and vegetables that hamsters love that are also safe to feed. Pumpkin is an excellent choice because of its health benefits and taste appeal. Even the seeds can be made into a delicious snack for your furry friend. Pumpkin is a good source of vitamins A and C and also includes several B vitamins. Vitamins A and B are both needed for the growth of your hamster. Vitamin C helps prevent swollen joints and scurvy. Pumpkin also contains fiber, which can help keep your hamster regular, but limits the amount of pumpkin you want to feed to your hamster to prevent diarrhea. Not only is the flesh of the pumpkin a good treat for your hamster, but the seeds are also a great snack. Dry roast the rinsed seeds in a 250-degree oven until golden brown and allow to cool. Store in an airtight container and feed to your hamster as a treat, one or two at a time. The hard texture of the roasted pumpkin seeds will help your hamster keep his teeth the right length. Pumpkin flesh can be added to your hamster's variety of fruits and vegetables, but should never be fed in large amounts due to the fiber content. Give your hamster a 1-inch cube of pumpkin to gnaw on as a treat and remove the uneaten portion. Raw pumpkin will retain the water of the flesh, but roasted pumpkin that has cooled may also be pleasing to your hamster due to the sweet flavor roasting creates. There are many different fruit and vegetable options for hamsters. The list is so long that it's actually easier to list what hamsters shouldn't eat. Never feed your hamster raw kidney beans, onions, raw potatoes or potato tops, raw rhubarb or rhubarb leaves, citrus fruit, garlic or tomato leaves. Some examples of fruits and vegetables hamsters love include bananas, grapes, greens, apples and berries. Remove seeds and peels from any fruits and vegetables before feeding, unless the seeds can be made into a treat, such as pumpkin seeds. What Seeds Can Hamsters Eat?